Even if they have a trunkful, girls can never have enough jewellery. Period. These pieces of metal and stone, glass and enamel when cut, polished, primed and stitched can create magic like nothing else can. After all, who’s ever been able to resist sparkle and shine – not even the goddesses themselves! Ditto, when it comes to bridal jewellery. Be it pre-wedding or the big day itself or a close one’s special day, we run high and low to find that perfect trinket that’ll make us glow. Brides who are and are yet to be, or shall never be, but goddesses we are forever - Here’s a little inspiration coming your way this women’s day, from none-other than a brand that understands womanhood and goddess attitude – Amrapali! One of the most stalked brands for bridal jewellery has been Amrapali Jewels. Right from Bollywood to Hollywood celebs, these beauties have been spotted wearing Amrapali to amp their Indian, as well as western outfits. This luxury jewellery brand is renowned for creating magnificent signature pieces that personify the heritage of India with a modern eclectic twist. If mysteries of history and mythology interest you, and you have an instinctive liking for antiques, each piece of Amrapali Jewels is guaranteed to arrest your attention. We know you’ve pinned this brand on your Pinterst board and to help you stalk this brand like a boss, we’ve compiled a selection that will make you say “OMG”! 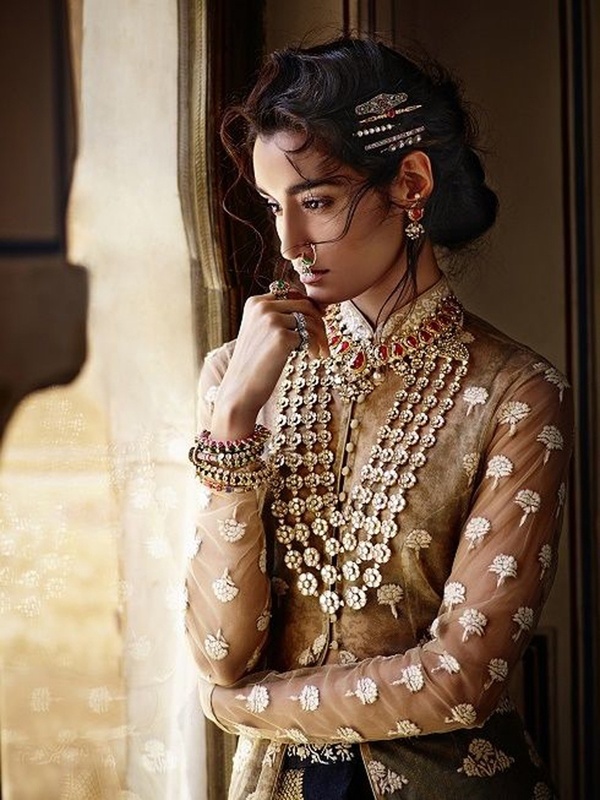 When it’s about showcasing ethnic beauty, Amrapali Jewels have been the go-to choice for most leading fashion designers, such as Tarun Tahiliani, Satya Paul and Sabyasachi, as well as Bollywood divas, like Kareena Kapoor, Sonam Kapoor, Dia Mirza, Konkana Sen Sharma, veteran actress Sridevi, and style icons like Deepika Padukone, Alia Bhat and Kangana Ranuat. The list is endless. See for yourself. Wedding scenes in reel and real life too couldn’t escape the magic Amrapali Jewels create to uplift a bride’s glow! From being an official jewellery sponsor at the Milan Fashion Week 2013 to expanding its presence in UK, USA, Sri Lanka, Nigeria and Spain, it comes as no surprise when you spot international celerities adorning Amrapali. The way they blend their western outfits with statement Amrapali jewels is a proof of its versatile use. Cocktail parties, sangeet, mehndi or attending a best friend’s wedding; these multipurpose earrings could be mix-matched with your attire to add a touch of Indian elegance. These finely hand-crafted bangles are great to add a zing to your look when attending events that demand you to dress-down and keep it minimal. Say birthday parties, family get-togethers or even a day-out with your girls. Timeless necklaces that are an absolute perfect pick to complete your magnificient bridal look. While this one can be worn to rock your cocktail party!